24 Hours/Day & 7 Days/Week. More Than 2500 SMEs Joined Since 2007. 95.3% Advertisor Renew on Following Years. A domain name is a unique name that identifies a website. 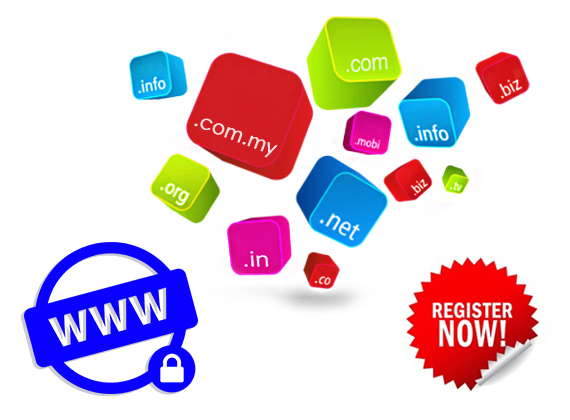 Domain name register is based on first come first served. Protect your company property, be smarter than your competitor, register yourcompanyname.com today before others take it from you. 16 Beautiful Transition Effects, viewable in all Desktop, Laptop, Tablet, and Mobile devices. Cross Browser Support; Firefox version 8.0 or later, Chrome version 16 or later, Opera version 8.0 or later, Internet Explorer version 8.0 or later, Safari version 8.0 or later. We follow the Standard built to be productive and effective. The Company Website Structure and Layout is Cross-Platform, Optimized for Google, Newpages Synchronization, Self-Manageable Website, W3C Standard, HTML5 Support, Unlimited Products Slot, and Daily Backup. Homepage is undoubtedly one of the most important pages on your company website. Thus, our web designer will design a professional website layout and few slideshow banners according to the business or services that your company do. The purpose of homepage is to describe what your company do and summary your company background. Provide more details about your company's unique identity to visitors. Such as, company background, how/when the company establish, what so special about the company and more details related to the company. Show all the products image, title and description in neatly way according by 0-9, A-Z, latest on top or oldest on top. It will synchronize in Newpages.com.my. Show what kind of services that your company do by categories. So that, visitors can read it easily. Photo shows in an album and by category, you may put your company past exhibition, factory environment, company trip, portfolio and so on. Visitors can view enlarger photo in pop up box with title and description when they click on the photo. You can put a video to show your company products, product production process and company introduction video accordingly by category, latest to oldest or A-Z. You can easily get the link from Youtube that related to your business and put into your company website. You may upload PDF or JPG on your website and let the visitors to view and download it. The file can listed accordingly by category, latest on top or oldest on top. Easily upload a job with details requirement in your company. Such as Position Level, Job Specialization, Qualification, Employment Type and so on. It will synchronize in Newpages.com.my and Newjobs.com.my. Post your company latest news or latest event on your website. The latest news or latest event will appear on homepage in a pop up box when visitors visit your company website. It will synchronize in Newpages.com.my. The purpose in contact page is to help visitors to contact your company or business, in a variety of different ways. Your company contact details list down clearly. Such as address, office phone number, mobile number and company e-mail. Therefore, the visitors can contact you immediately. We create a form for the visitors to leave down their information and submit to your company via e-mail. So, you can easily to keep in touch with the potential customer. We create an Individual Product Order Form for your company. When the visitors satisfied with the products, they can immediately type in an enquiry details below the product image and submit to your company via email. In our Products Sub-Images function, you can upload a series images of the product. For example, different angle view. It will appear at bottom of the product image. For the E-Catalog function, you can upload a company catalog or user manual softcopy in PDF, so the visitors can direct download from it. Our system has Auto Generate Watermark function, the watermark will appear in middle of image. The purpose is to protect those product images that you uploaded to the website and to prevent other download your product images for illegal used.  Based on your company address, we will generate a Online Google Map for you. So that, the visitors can direct click on the Google Map and easily get the direction to your company. You are allowed to upload unlimited number of your company product, images, title and description to your company website and you also able to separate them into different categories through our system. You can upload your PDF to your company website, it easier for your visitors to download the softcopy from your website. Our system can support Youtube Video. So, you can easily insert the Youtube video in your website and the video will appear in Video page. We will generate a QR-Code for your company. It's easier for your visitors to visit your company website by scanning a QR-Code. We will provide you a premium profile of your company website at Newpages.com.my and it will synchronize the latest product from your website. It's create a chance to appear your website when the visitors landing or search keyword on Newpages.com.my. We will provide your company a Simplified Mobile Website. When the visitors visit your website by using Smartphone, they can easily read the content by choosing Mobile Version. You can custom type in your company products title, categories, sub-categories and description, our system will automatic capture those title and categories as keywords. When customer search the keyword in Google Search Engine, they can see your company domain name and reach your company website directly instead of sub link or a listing by other company. We will create a system of your company. The system allow you to access into backend to read the visitor details analysis report. Such as visitors landing on website, enquire and keywords result. You can easily self manage your company website page by page. Such as edit content, upload products image, photo gallery, latest news, insert Youtube video, post new job and etc. Therefore, you can manage or update your website immediately. We have our own Newpages Merchant System that fully created by NEWPAGES. This system is useful and convenience for our customer to manage and update their company website in time. Our system will automatic scan through all our customer website daily to capture and submit the latest keyword to the internet. This will help to push your company website in Google ranking. We will sent a web visitor summary report to our customer weekly via e-mail. So, our customer will has a summarize visitor report of their company website. Our platform allows multi devices to access your company website. Such as Smartphone, Tablet, Desktop, Laptop and others devices. Viewable in all Desktop, Laptop, Tablet, and Mobile devices. Cross Browser Support; Firefox version 8.0 or later, Chrome version 16 or later, Opera version 8.0 or later, Internet Explorer version 8.0 or later, Safari version 8.0 or later. Our platform is fully construct by NEWPAGES. Firstly, our system is used for our customer only. Secondly, we don't sell our system to others. Thirdly, we don't used other website template to build your website. Lastly, we will frequently update our system to provide a high security website protection to our customer. That's why your company website build by NEWPAGES is more secure than others.